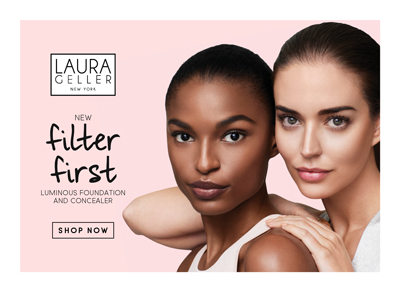 Laura Geller has revolutionised the world of make-up for over 20 years, making professional make-up application work for real women, every day. With her roots backstage on Broadway, Laura is an advocate of the fun and transformative power of make-up, ensuring that all women have the tools and the know-how to enhance their routine. Her pioneering make-up collection is famous for the cult Spackle make-up primer and her collection of baked, handmade cosmetics, which have been firm favourites with women for almost two decades.